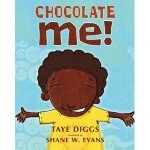 Continuing with the theme of Black History Month, and tolerance, all Primary classes with be reading Chocolate Me! by Taye Diggs. In this story, an African-American little boy is teased about the colour of his skin and his hair. He feels like he doesn’t belong, and the other boys say rude things to him. But when he realizes that his skin colour is “like velvet fudge frosting” and his hair is like “cotton candy…soft to the touch”, he begins to accept his appearance. 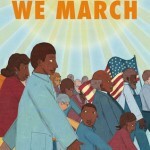 Still looking at historical fiction, Ms. Hull’s class will be reading 2 books about African-Americans: Underground and We March, both by Shane W. Evans. Underground is about the infamous Underground Railway that helped many slaves escape to freedom, and We March is set in the 1960’s during the Civil Rights Movement in America. It is set during the time of Martin Luther King Jr.’s historic “I Have a Dream” speech. Listen and watch here. 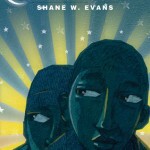 This entry was posted in Weekly Read-a-Louds and tagged African Americans, Black History Month, bullying, diversity, tolerance, Weekly Storytime. Bookmark the permalink.